The process of resistance training involves the muscles and skeleton working against an external force, either induced by external resistance (lifting weights) or gravity ( jumping, sprinting or bodyweight training). Resistance training tends to be focused on power, and utilises predominantly anaerobic energy systems. The benefits of resistance training, including increased strength, and hypertrophy, are well known to aspiring trainees. Additionally, research is showing multiple other benefits uniquely attributed to this type of training, some you may be familiar with, some you may not. This article will highlight 10 benefits of resistance training. Skeletal loading has been shown to increase bone integrity. Athletes competing in strength and power events, such as weight-lifting and jumping, have superior bone mass and structure, compared with their untrained counterparts, in all age groups. Resistance training may promote bone development, with studies showing 1% to 3% increase in bone mineral density. Muscles adapt by becoming bigger and stronger, and resistance training is the most effective means of elliciting this adaptation. In studies, ten weeks of resistance training has been shown to increase lean weight by 1.4 kg, increase resting metabolic rate by 7%, and reduce fat by 1.8 kg. Most notably weight lifting, but all forms of resistance training, can increase muscle mass. This can reduce the occurrence of sarcopenia (the age-related decline in muscle mass) when elderly, although any physical activity can reduce rates of sarcopenia, resistance training is the most effective. Resistance training promotes increases in strength accross all age ranges. The knock on effects of increased physical strength include improved physical performance, walking speed and functional independence. Resistance training has been shown to improve joint and connective tissue strength. Increased mobility and other improvements in physical function and athletic performance are associated with the increases in muscle strength, power, endurance, and hypertrophy observed during resistance training. This attribute usually diminishes with age. An effective resistance training regime however, has been shown to enhance balance, improve stair climbing ability and general kinesthetic awareness. Benefits of resistance training include body composition improvements, as a result of increases in lean tissue, and loss of body fat. This results in increased athleticism and physique improvements. You not only perform better, you look better. The knock-on effects of increased strength and improvements in appearance and physical health, are massive. Self esteem increases, as increased confidence in the performance of activities primes us for success, and achievement of goals formerly unreachable. There is additionally evidence of cognitive enhancement as one of the benefits of resistance training, and also reductions in negative mood states. Extensive research now indicates that resistance training is effective in increasing longevity. Percentage of lean tissue in older individuals is a good indicator of longevity, as is grip strength. Resistance training improves both of these attributes. 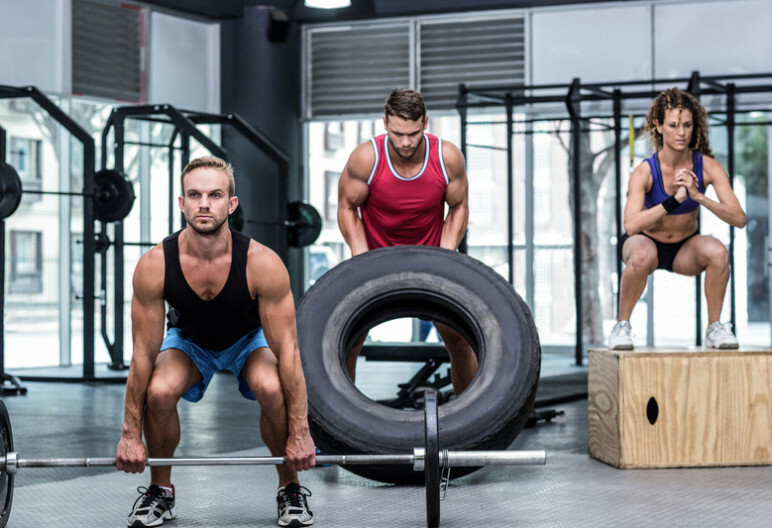 Resistance training may also enhance cardiovascular health, by reducing resting blood pressure, decreasing cholesterol and triglycerides, and increasing high-density lipoprotein (good)cholesterol. Additional benefits of resistance training include reducing low back pain, and easing discomfort associated with arthritis and fibromyalgia, and it has been shown to reverse specific aging factors in skeletal muscle. Resistance training may assist prevention and management of type 2 diabetes, by decreasing visceral fat, and improving insulin sensitivity. Other chronic conditions can also be warded off by resistance training. The benefits of resistance training apparently include reduced risks for osteoporosis, and cardiovascular and metabolic diseases; improved management of cancer, neuromuscular disorders, HIV, and chronic obstructive pulmonary disease. Dynamic adaptation of tendon and muscle connective tissue to mechanical loading. Implications for connective tissue and bone alterations resulting from resistance exercise training. Effects of resistance training on muscle strength, exercise capacity, and mobility in middle-aged and elderly patients with coronary artery disease: A meta-analysis.